We aren’t normally the kind to let someone else eat off our plates, but for the love of share food we’re willing to make an exception. If you think your only option to share a meal with your roomies (all 9 of them) or your entire extended family is a few pizzas from the corner shop, or fish and chips on a Friday night, you’re dead wrong. 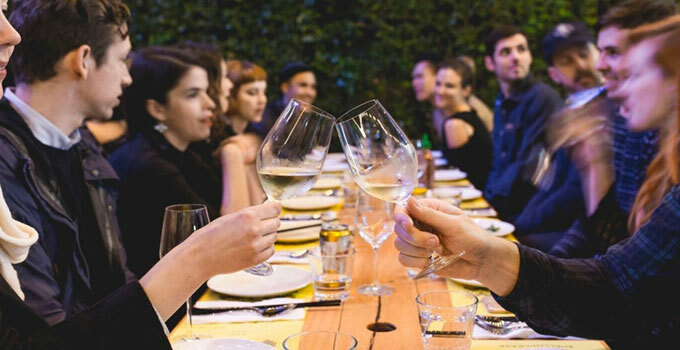 We’ve done the rounds, and found some deliciously splitable, group dining options around Brisbane, where you don’t have to wait fifteen minutes while they shuffle the tables. For groups over 8, banquet dining is a must at LONgTIME. It’s thai-m to enjoy a unique twist on Thai cuisine with dishes like banana flower tossed in a sweet and sour coconut dressing, with grilled chicken. You won’t have to worry about running out of conversation at Peasant – with shared tapas including Rustic Spanish meatballs with salsa rojo and manchego cheese, let the meal do all the talking. Nested in the foodie capital Fish Lane, Chu The Phat serves up some great options for family feasts. Try their black onyx beef stir fried with asparagus, or diamond shell clams wok tossed with pork mince, bull head sauce & rice cakes. Make group dining simple at Chop Chop Changs with a menu that everyone can get behind, whether you’re feeling the Five Spice Squid Tentacles with Vietnamese mint, chilli, lemon and white pepper sauce or the Watermelon And Pomelo Salad. Put the ‘fun’ in work function at Bar Alto. 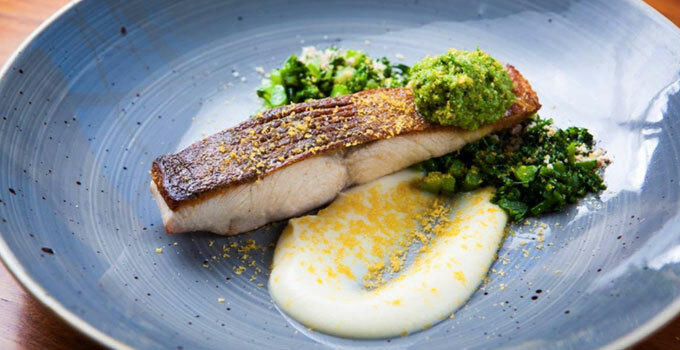 Part of the Brisbane Powerhouse, enjoy pan-fried salmon, roasted heirloom beets, almonds, blood orange, tarragon mayonese or Venetian style crespelle as you feast your eyes on the gorgeous scenery. Not only is Little Greek BYO (which is great for group outings) but they’ve got a great range of classic Greek dishes for the whole team to enjoy from Chicken Souvlaki to Horiatiki Salad. Skip the formalities and relax with your mates at the long tables available at Hello Please. Boasting impressive Vietnamese cuisine, share a plate of Bao Crispy Chicken, aromats & kim chi, or be bowled over by the Chicken Coconut Curry. If you’re trying to keep your food spending to a minimum, bring your friends to The Vietnamese for high quality food on a low budget. It’s going to be hard deciding between the Crispy Duck with Asian greens and mushroom sauce or Vietnamese style chicken claypot, but the great thing about group dining is you don’t have to – just try both! For the meat lovers and weak-willed vegetarians, The Norman Hotel raises the steaks on banquet dinners. Bring your herd over and graze on the Rib Fillet, Angus Rump, or barramundi. Delight in the one in, all in, 7-course chef selezione at Popolo and spend a few hours with your loved ones at one of their long, large, Italian styled share tables over a shared Italian feast. Bellissimo!